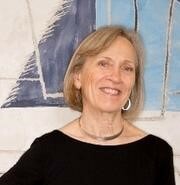 Claudia Goldin is the Henry Lee Professor of Economics at Harvard University and was the director of the NBER’s Development of the American Economy program from 1989 to 2017. Goldin is an economic historian and a labor economist. Her research covers a wide range of topics, including the female labor force, immigration, income inequality, technological change, education, and the economic gender gap. Most of her research interprets the present through the lens of the past and explores the origins of current issues of concern. Her research is currently focused on college women’s aspirations for and achievement of career and family. She recently completed a project and an edited volume on the increase of women’s employment in their mature and older years. She is the author and editor of several books, among them Understanding the Gender Gap: An Economic History of American Women (Oxford 1990), The Regulated Economy: A Historical Approach to Political Economy (with G. Libecap; University of Chicago Press 1994), The Defining Moment: The Great Depression and the American Economy in the Twentieth Century (with M. Bordo and E. White; University of Chicago Press 1998), and Corruption and Reform: Lesson’s from America’s Economic History (with E. Glaeser; Chicago 2006). Her most recent book is The Race between Education and Technology(with L. Katz; Belknap Press, 2008), winner of the 2008 R.R. Hawkins Award for the most outstanding scholarly work in all disciplines of the arts and sciences. Women Working Longer: Increased Employment at Older Ages(edited with L. Katz; Chicago) is forthcoming. Goldin is best known for her historical work on women in the U.S. economy. Her most influential papers in that area have concerned the history of women’s quest for career and family, coeducation in higher education, the impact of the “pill” on women’s career and marriage decisions, women’s surnames after marriage as a social indicator, the reasons why women are now the majority of undergraduates and the new lifecycle of women’s employment. She is currently completing a wide ranging project on the family and career transitions of male and female college graduates from the late nineteenth century to the present. Goldin was the president of the American Economic Association in 2013 and was president of the Economic History Association in 1999/2000. She is a member of the National Academy of Sciences and the American Philosophical Society and a fellow of the American Academy of Political and Social Science, the American Academy of Arts and Sciences, the Society of Labor Economists (SOLE), the Econometric Society, and the Cliometric Society. She received the IZA Prize in Labor Economics in 2016 and in 2009 SOLE awarded Goldin the Mincer Prize for life-time contributions to the field of labor economics. From 1984 to 1988 she was editor of the Journal of Economic History and is currently an associate editor of the Quarterly Journal of Economics and a member of various editorial boards. She is the recipient of several teaching awards. Goldin received her B.A. from Cornell University and her Ph.D. from the University of Chicago. Goldin, Claudia. On Equal Pay Day, Why the Gender Gap Still Exists. Interview by Ari Shapiro. All Things Considered. 2016. Internet. Goldin, Claudia. The True Story of the Gender Pay Gap. Interview by Steve Dubner. Freakonomics Radio Podcast. 2016. Internet. Goldin, Claudia. Exploring the Present Through the Past. Interview by Brian Snowden. World Economics, vol. 8, no. 4. Oct-Dec. 2007. Goldin, Claudia. Interview for The Region. Interview by Douglas Clement. Vol. 18, no. 3. September 2004, a quarterly publication of the Federal Reserve Bank of Minneapolis.